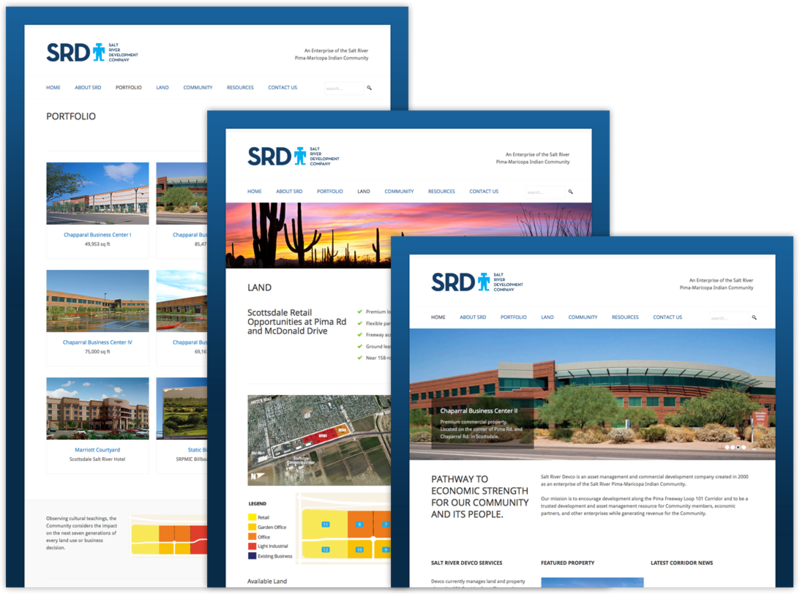 Our team began working with Salt River Development Company (Salt River Devco for short) in 2009 working alongside their executive team to manage their web site. We initially managed their existing web site, by adding and implementing a CMS so their team could update content. Then, in 2012 we worked with them on a complete rebrand of the company including logo, letterhead, business cards, and web site. Salt River Devco is an asset management and commercial development company created in 2000 as an enterprise of the Salt River Pima-Maricopa Indian Community. The company owns and manages a large area of land north of Chaparral Rd. along the Loop 101 freeway in Scottsdale. The property includes multiple office buildings, a hotel, and available land. We created a new identity for Salt River Devco. 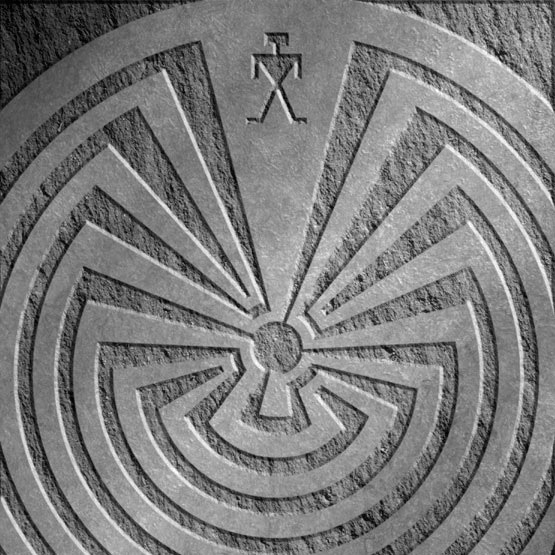 The identity was inspired by the Man in the Maze photo pictured above, which was also used as a logo by Salt River Devco. The goal was to explore a way to slowly move away from that old icon and simplify the logo. We created a new web site built on WordPress. New web site for Salt River Devco. The new Salt River Devco web site is built on top of WordPress and allows the team to manage their web site themselves. The web site includes a property portfolio that allows the company to advertise available leasing opportunities as well as news about new projects.